Last Sunday night, Eastern European-inspired Mazelle restaurant quietly closed its doors for the last time. But, foodies, don’t fret. 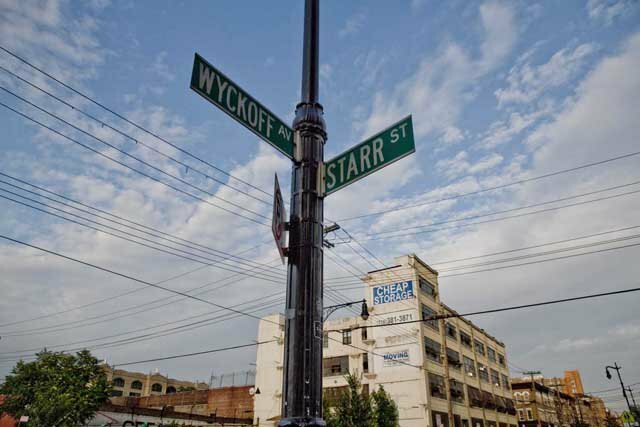 There are bigger and better things to happen at the corner of Starr St and Wyckoff Ave. Players from Roberta’s and Momo Sushi Shack are joining forces to open “the best sandwich shop in all of NYC.” Yes, you read that right, some of the businesses’ best minds will be working together to bring exotic sandwiches from all over the world to Bushwick. 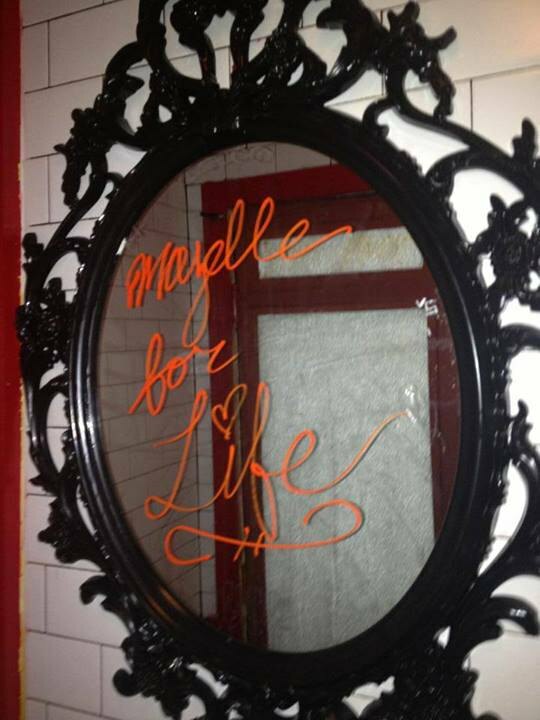 photo from mazelle's facebookMazelle will be missed. The restaurant, with its Siberian lamb dumplings, sweet lemon ricotta blintz was a favorite of Brunch-goers and a popular happy hour spot, with dollar oysters and $3 well drinks. All in all, with its sleek industrial interior, sparkly decor, and prime location, it was a very popular neighborhood spot. A source close to restaurant said the owner Yury Maz decided to close Mazelle in order to be freed up to invest in other ventures in the neighborhood. Employees were given 1.5 weeks notice before Mazelle emptied out, taking their titanium-chic furniture with them. But in our neighborhood of quickly changing locales, as one goes, another arrives. Apparently the brains behind the (in)famous pizza joint Roberta's and their neighbor (and rival for best restaurant in Bushwick) the inventive MoMo Sushi Shack, are moving into Mazelle's space and are planning to change it up completely. "HiHello" is the rumored name of the new restaurant, which has already begun renovations and plans to début on the Bushwick scene in October or November. 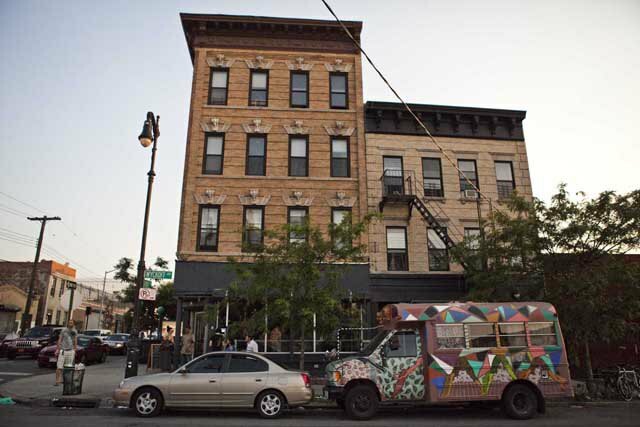 The new owners of the space at 247 Starr Street are two current owners of MoMo, Phillip Gilmour and Chance Johnston, and former manager of Roberta's, Kip Michel. They promise to bring a slew of truly incredible and varied styles of sandwiches, and also plan to serve high end beers, along with wine and spirits, and they apparently have a few other special surprises up their sleeves. This news is overwhelmingly exciting for those of us who struggle to find worthwhile sandies in the neighborhood - the faux gourmet tastes of Hana's never cut it for me. And while we anxiously wait to try some of the world's best styles of sandwiches (Meatball Parm? Bahn Mi? Ruben? BLT? Torta? ), we'll also be excited for what Yury Maz will be up to next - perhaps some new restaurants and food joints. 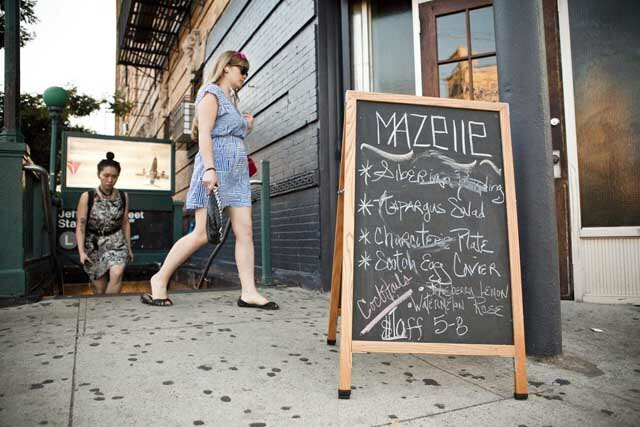 We'll miss Mazelle, but the future is brighter than ever for Bushwick's food scene.